I am honored and proud to serve my community as a family dentist. My goal is to provide the highest level of dental care, honoring my long standing tradition of integrity and quality. 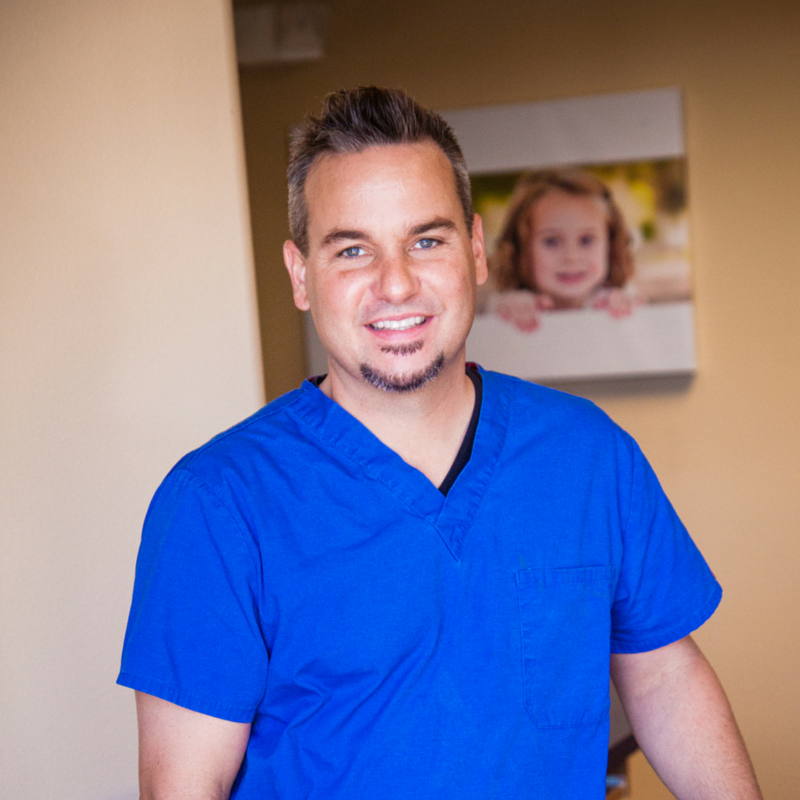 read more…Michael WendelboeBorn and raised in Las Vegas, NV I graduated from Las Vegas High School in 1994 and continued onto the University of Nevada Las Vegas (UNLV) where I completed my undergraduate before attending the UNLV School of Dental Medicine, where I graduated in 2007. I feel blessed and honored to have served the Las Vegas community as a family dentist for over 8 years. read more…SusanDespite being born in Lincoln, Nebraska I was raised in Ipswich England and returned to the United States to attend high school in Las Vegas in 1977. I have been a dental assistant in Las Vegas for 37 years, assisting at Tenaya Village Dental Care for 9 years. read more…HollyBorn in Hernderson, NV, I grew up in Lake Havasu City, AZ. I attended Mohave Community College in Bullhead City, AZ where I graduated in May 2012 from Dental Hygiene School. I moved back to Las Vegas right after and have been practicing dental hygiene for the past three years. I love my career! read more…JenniI was born and raised in Portland, OR and moved to Las Vegas in 2006. 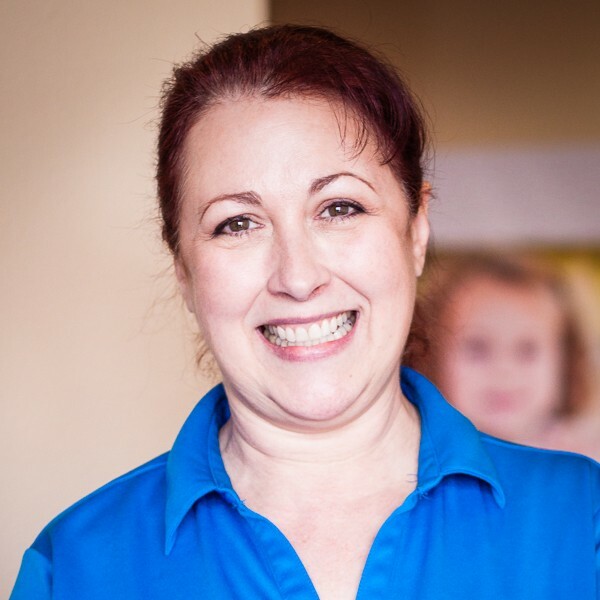 I started in the dental field in 1999 and I enjoy working with our fabulous patients. I feel my knowledge and experience in the financial area can help patients maximize their treatment plan options. 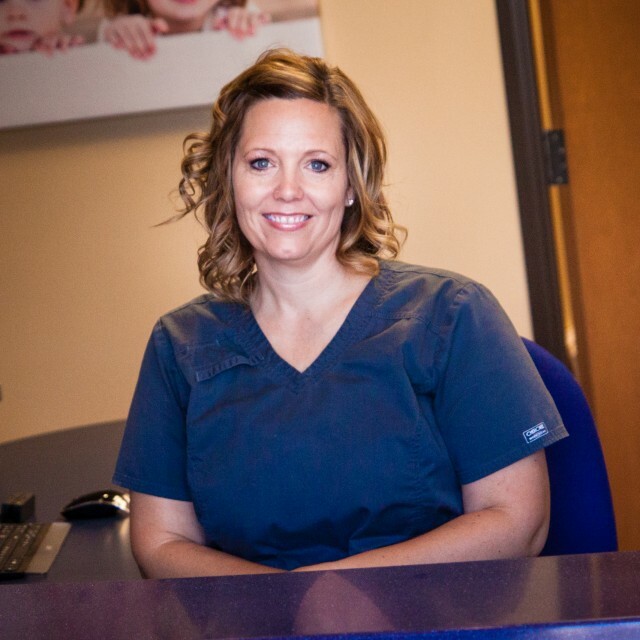 One of the most rewarding aspects of my job is the daily interaction that I have with our patients, ensuring they have a positive experience from the beginning to the end of their appointment. read more…MelissaBorn in California, I recently moved to Las Vegas in 2014. Although I am not a big fan of the heat in Las Vegas, I do love the city. 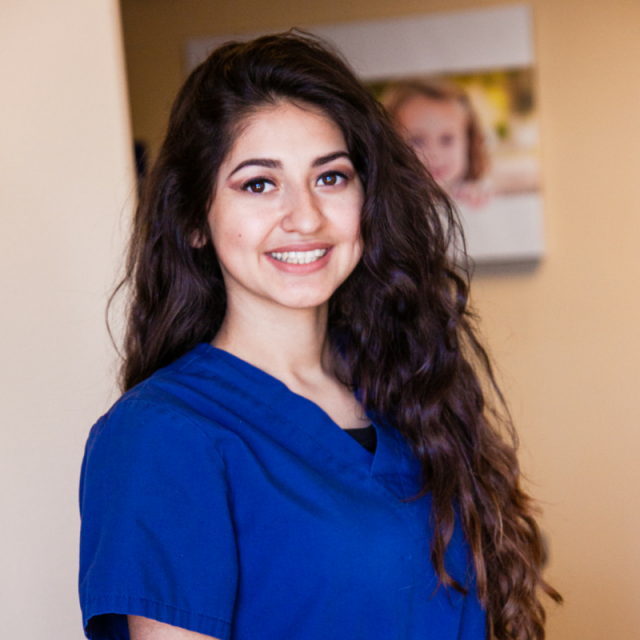 I graduated from Pima Medial Institute in 2015, and I enjoy being a dental assistant, meeting new and interesting people, and being a part of making their smiles amazing. This is what most people think of when they think of going to the dentist. It simply means Dr. Mike can fix (or restore) your teeth to normal. Using advanced technology and good ol' fashion know how Dr. Mike can restore diseased, injured and abnormal teeth, including but not limited to drilling and filling cavities, root canals and crowns. Missing teeth? NO PROBLEM! Dental implants are placed in the space once occupied by a removed tooth's root, the implant is integrated into the bone allowing for a strong, durable and reliable base for a replacement tooth. What once required a potentially bulky and uncomfortable bridge, now can be treated with a single implant and crown, allowing Dr. Mike to maintain the integrity of the surrounding teeth. But that is not all, implants can also be utilized to secure existing bridge work and dentures allowing for a more secure and comfortable fit. Implants are an excellent treatment option providing a longer lasting and more comfortable result. Don't let missing teeth keep you from enjoying your smile, contact Dr. Mike to schedule your free dental implant consultation to see if a dental implant is right for you. Dr. Mike and his team strive to provide their patients with the highest level of care and that includes providing the most up-to-date technology. While Dr. Mike's experience is paramount to his practice, new age technology helps ensure patient safety and improve the speed and accuracy of diagnosis and treatment. Patient health and safety is a primary concern, which is why Dr. Mike utilizes the newest digital x-ray technology, omitting nearly undetectable levels of radiation allows him to get a picture of your teeth without exposing you to unnecessary radiation. All of our operatories are equipped with computers and intra-oral cameras, allowing Dr. Mike to show you while he explains your diagnosis and treatment options, giving you the tools you need to make an informed decision about your dental health care. Periodontics is the branch of dentistry that focuses on maintaining the health and integrity of the gums. All too often we only think of our teeth, but if our gums are not healthy, our teeth are not healthy. Diseased gums can become inflamed, resulting in bleeding and/or pain, which is a condition known as gingivitis. Left untreated gingivitis can progress to advanced periodontal disease, resulting in potential bone and tooth loss. Therefore, Dr. Mike and his team at Tenaya Village Dental Care take your gums just as seriously as they do your teeth. 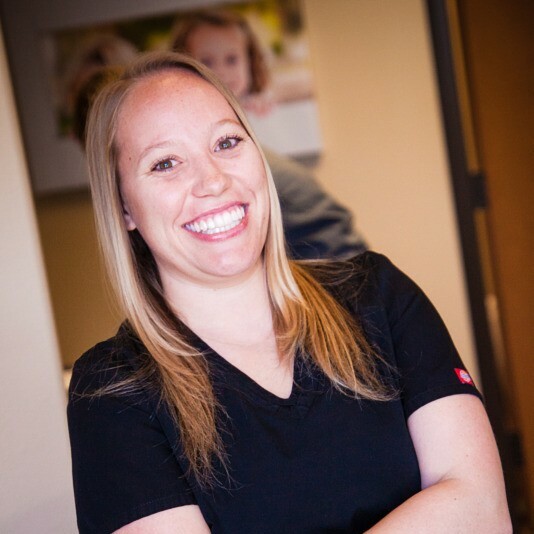 Our full time hygienist is available to perform routine maintenance (ie. cleanings) as well as advanced scaling and root planing when necessary to keep your mouth as healthy as possible. Endodontics is the branch of dentistry that focuses on the tooth's root, pulp and surrounding tissue. Simply stated, this is when your tooth needs a "root canal." Most patients requiring a root canal come to our office in a great deal of pain, with potential swelling as a result of an infection in the tooth. This infection can be caused by a large cavity or damage to the tooth structure, reaching the nerve or pulp of the tooth. The root canal procedure involves removing all of the infection in the tooth from the pulp to the canals of the roots, subsequently filling the hollowed space with a flexible material that prevents reinfection. Performing a root canal will allow Dr. Mike to save a tooth that would otherwise require extraction. Unfortunately whenever you take away part of the tooth structure, the tooth is weakened, therefore it is usually necessary to place a crown over the tooth in order to strength it and preserve it's integrity, restoring it to it's proper function and appearance. Typically, once performed, a root canal will resolve the patients pain with minimal soreness and fairly rapid recovery. This is a service YOU the patient provides daily, free of charge! Brushing twice daily for a minimum of 2 minutes coupled with flossing will support all of Dr. Mike and his team's hard work. In addition to your daily maintenance we recommend having your teeth professionally cleaned by our hygienist at least twice annually, and in some cases more. We are also proud to offer Identifi®, an oral cancer screening tool, aimed at identifying potential cancerous lesions, as early detection is key to treatment and prognosis. Going to the dentist doesn't have to be a scary and stressful experience. 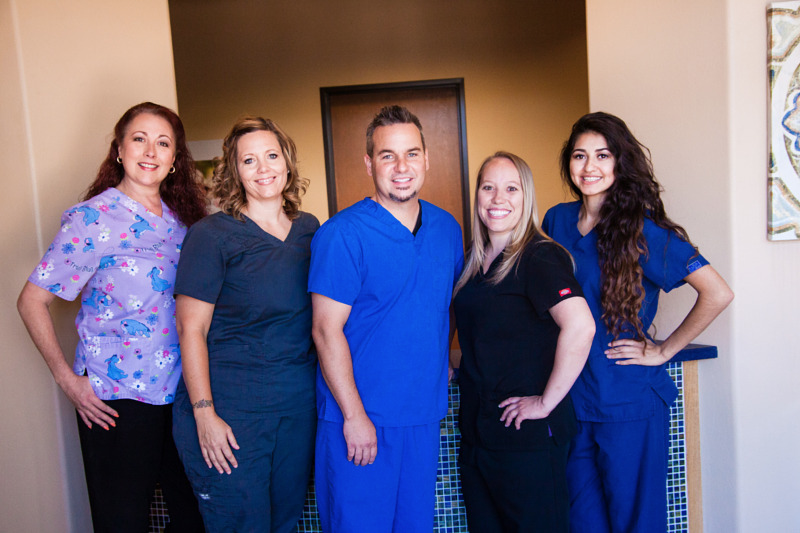 Dr. Mike and his team at Tenaya Village Dental Care are committed to making your visit as relaxing and stress-free as possible. Utilizing prescription drug therapy before, during and after your procedure will help you relax and even enjoy your dental office visit. Please discuss with Dr. Mike your worries and concerns during your free consultation so we may help you lay back, relax and enjoy your treatment. "You are never fully dressed without a smile" -Annie the musical We all strive to look and feel our best every day and Dr. Mike and his team at Tenaya Village Dental Care want to be sure that your smile is no exception. Whether it is a crooked tooth, an annoying dark spot or you just can't get your smile as white as you want we are here to help! Clear aligners are the answer to braces without the braces. You can now straighten your teeth with a series of clear aligners achieving those straight teeth you always desired without the unsightly appearance of wires and brackets. There are a variety of over the counter whiting products, but when they don't seem to get your teeth white enough, Dr. Mike and his team have a variety of alternate options and will work with you to achieve your brightest, whitest smile. In some cases, you may not like the shape and appearance of your teeth, crowning and veneers may be the answer you seek. Contact the staff at Tenaya Village Dental Care to receive your free cosmetic dental consultation and discuss your options with Dr. Mike.